Home News The low cost iPhone of 2018, about to enter the oven! The low cost iPhone of 2018, about to enter the oven! Apple has already prepared the response to the fiasco that has involved the iPhone X in its production line. We do not talk about it being a bad device, but maybe too much expectation and aside from the Face ID and a pretty decent camera, it does not offer much more than for example any of the series 8 . 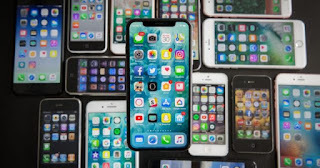 The initial production is estimated to be between 80 and 90 million units , and half of them would be destined to intermediate size, that is, the low-cost iPhone, which is expected to be well accepted by the markets , and shows how important this particular model is for Apple. These three devices are expected to mount the TrueDepth camera system , and the Face ID biometric identification system, revealed to be the safest that currently exists , and that all incorporate edge-to-edge screen. And when we say that the furnace is clentito it is because production may begin in the next month, in May . So it was with the iPhone 8 and iPhone 8 plus, which began to occur in the same month of 2017, although with the iPhone X there were production problems due to the complexity of the TrueDepth system . So Apple has quite a lot of hope put in this model of intermediate size , with good features, but at a significantly lower cost . The exorbitant prices of the iPhone X seem to have made a dent , or at least made the thoughtful heads of the Cupertino company reconsider.